Naz and Matt Foundation was recently invited to give a talk to the Department for Education (DfE) at their headquarters in Westminster. The title of the presentation was “Religion, Homophobia and Bullying”. 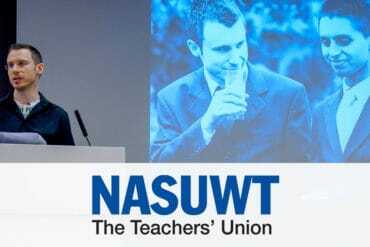 Matt was asked to introduce our Foundation, our campaigning, and our work with schools to the DfE’s policy and decision makers, including representatives from the Ministry of Justice and other government departments. The presentation was well received and we were invited to stay in close contact with the DfE about our future work. Which we will. Education for all age groups is a core part of our Foundation’s strategy for increasing acceptance within families and religious communities. After our thirty minute presentation it was time for a Q&A session in which some interesting and challenging questions were thrown our way. One attendee questioned our opinion on the importance of social media in our campaigning work. Answer – Without social media our Foundation’s work would be so much harder. It would be very difficult and expensive to communicate and engage with people locally, nationally and all around the world without social media. Ten million people around the world, and much of the press, may never have heard about our Foundation’s 150 mile walk in 2015 – the Journey to Find Acceptance – in which we raised over £12,000 to combat religious homophobia. Or indeed the issues we are campaigning for tirelessly in the public’s eye. Social media is the global platform that connects people, connects minds, connects ideas, connects charities and even connects entire countries. It enables communication. It enables collaboration. It will one day lead us to peace, and to acceptance. Another attendee questioned and challenged my views about the compatibility of ‘religion’ and ‘homosexuality’, in particular around ‘homosexuality and Islam’. My response was that “yes”, they can co-exist, you can be gay (or LGBTQI+) and Muslim. You only have to do a simple Google search to see the truth. 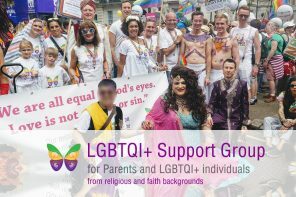 A quick search and you’ll soon find reputable evidence to support the fact that you can be gay (or LGBTQI+) and Christian, gay and Sikh, gay and Muslim… I know many people who are both religious and comfortable with their sexuality and gender. Religion was created for peace, to bring humanity together, to love and accept one another for who we are… and how we were born. You can be the person who you were born to be and still follow your religion of choice. Don’t let the negative thoughts of other people – who are often wanting to control you – to tell you who you can, and who you can’t be. Your life is your book, don’t don’t let anyone else write it for you.